Posted on April 13th, 2017 by Jacob. 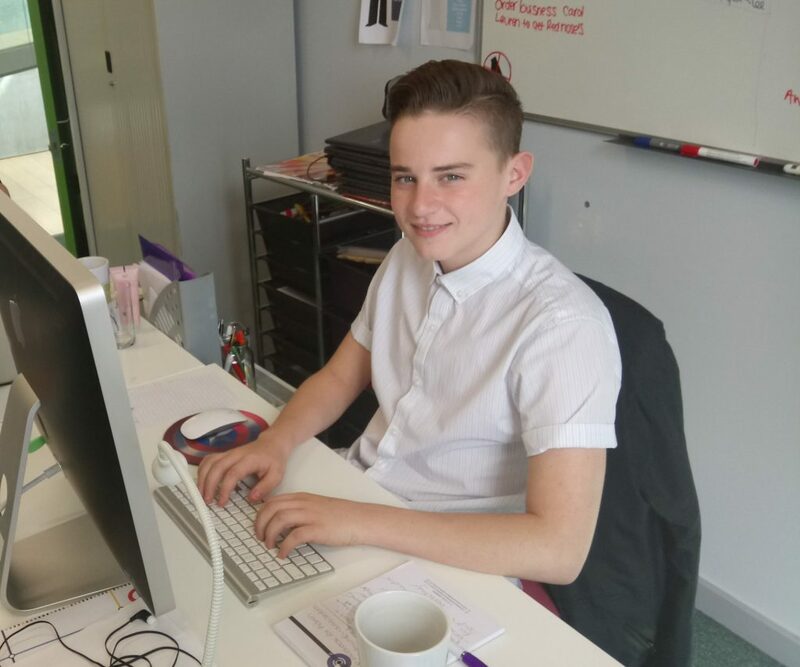 Hi, my name is Alex, and I have just finished my work experience at Visualised it. During most of my time in school, I didn’t really know what I wanted to do after my GCSE’s. When I was told that work experience was coming up, I really didn’t know where or how to apply for it. I needed to find out not just what I wanted to do for work experience, but what I wanted to do after school as well. I went through many ideas; from hands-on jobs such as a mechanic, or more of an office job like Accountancy. But none of these jobs stuck out to me as something I would like to do. The first time a job in media came to mind was when my dad mentioned it to me. I bought into the idea because I thought to myself, I spend a lot of my time on social media and on computers so this could be an interesting opportunity. My dad said to me that he knew a person that owns a video production company: Visualised it, so I applied. On Monday, I was very nervous. When I got there everyone was very nice and I had a really good day. The first thing I had to do when I got there was some research on social media, and I had to make some graphics based on my research. I then had to do some research for a script on some health and safety information, as they are making a health and safety video. On my first week, I went on a shoot in Leeds where I learnt a lot about different equipment, and terms they use whilst filming. The day after the shoot I was asked to do an assembly edit of the footage that we shot. This was the first time I had used Adobe Premiere and I found out how patient you have to be to do video editing. I also learnt how to work the basics of Photoshop, when I was making website graphics, that got easier the more I used it. As well as learning to use all these programmes, I reset all the laptops because they were all playing up and hard to work with. And on my last day, I have synced all the social media accounts so they can all work from one phone and are run under an admin. And now I’ve learnt how to write a blog. Overall, I have really enjoyed my time at Visualised it and will be pursuing an interactive media course in College and maybe even onto University!